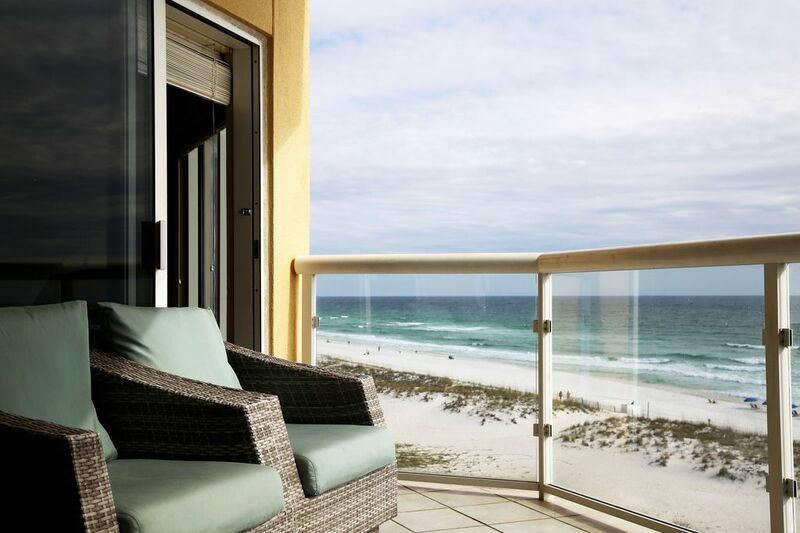 Clean and Comfortable, this unit offers an incredible view of the Gulf of Mexico and Pensacola Bay. The gated parking lot, easy beach access, swimming pools (even heated! ), hot tub, exercise room, and sauna make Emerald Isle one of the nicest locations on Pensacola Beach. Easy walking distance to the Pensacola Beach pier on Casino Beach and the Portofino Boardwalk give you immediate access to many restaurants, great music, lots of shopping and unlimited fun! Only 8 miles from historic downtown Pensacola with more great shopping, restaurants, and museums and less than 20 miles from Naval Air Station Pensacola, home of the Blue Angels and the National Naval Aviation Museum. VIP specials available at additional cost upon request to include gift baskets, grocery purchases, in-room massage, restaurant gift certificates and more, just ask!! Pensacola Beach is a great vacation destination - close to where we live so we can head out there often! Emerald Isle is close to everything in Pensacola Beach! Two Beach Chairs and umbrella set up on beach by Lazy Days complimentary during rental period. Emerald Isle 507, great location & beautiful! Owners very helpful ! My family loved this location - on the beach, pool, walk to shopping and dinner - condo was perfect when we arrived and perfect for our entire stay - loved having a washer and dryer as well as beach towels & chairs - Sam the owner has great communication before, during and after our stay. Thanks Sam for a great place to calibrate Spring Break! We enjoyed our stay. The condo was well taken care and the owner was so easy to work with. He made the whole process so easy! Would highly recommend! Clean, well-appointed condo. Excellent communication with the owners. We had difficulty with the door lock on our last evening there and the owner responded to our difficulty, coming to help us within minutes. Wonderful experience. Your condo is in a great location, neat and comfortable. Thank you for supplying beach towels and beach accessories.o will request this unit again! Thank you very much. We look forward to having you stay again! CLEAN, beautiful views from the balcony, heated pools, lovely in every way. This property surpassed all expectations. It is nicely furnished and has everything you need for a wonderful beach vacation including towels, chairs, umbrella, etc. The owner is great and easy to contact if needed. Can't wait to return! Pensacola Beach is a great community. Lots of activities going on all year round: parades, runs and triathlons, festivals. The beach is gorgeous and easy to get around. Must be 25 years or older to rent our property. No pets.